The Mar-Mac Police District has taken a pledge to keep tobacco, alternative nicotine and vapor products out of the hands of Marquette and McGregor’s youth. Known as I-PLEDGE, the program is a partnership with the Iowa Alcoholic Beverages Division (ABD) to educate local retailers and to enforce Iowa’s tobacco, alternative nicotine and vapor product laws. Since the program’s inception in 2000, the statewide tobacco compliance rate has grown to 91%. By participating in the program, the Mar-Mac Police District has committed to do its part to increase the compliance rate even more this year. I-PLEDGE places emphasis on retailer training. 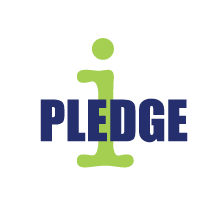 Clerks who successfully complete an online training course and pass an exam will become I-PLEDGE certified. This allows a retail establishment to use an affirmative defense against a civil penalty if the certified clerk makes an illegal sale. I-PLEDGE’s retailer training is a great way for clerks to prepare themselves to refuse illegal tobacco, alternative nicotine and vapor product sales. The training also assists retailers to ensure they maintain a compliant and responsible establishment. Mar-Mac Police will be conducting compliance checks on local establishments as part of the I-PLEDGE program. Underage customers, under the supervision of law enforcement officials, will enter establishments and attempt to buy tobacco, alternative nicotine and vapor products. Clerks who make the illegal sale will be cited. Criminal penalties for selling tobacco, alternative nicotine and vapor products to a minor include a $100 fine for a first offense, a $250 fine for a second offense and a $500 fine for third and subsequent offenses. However, handing out citations is not the intent of the I-PLEDGE program. By partnering with the Iowa Alcoholic Beverages Division, Mar-Mac Police hope to educate clerks and maintain a compliant retail environment in our community. Moreover, we pledge to help keep tobacco, alternative nicotine and vapor products out of the hands of Iowa’s youth.